Deadpool 2 is upon us, in which the Merc with a Mouth has to form a team of his own to fight off Cable - the X-Force. The team has an important history in the comics, and although Deadpool 2's version is a little different, it's still packed with new faces that have some Marvel Comics history. Here's what you should know before sitting down in theatres. 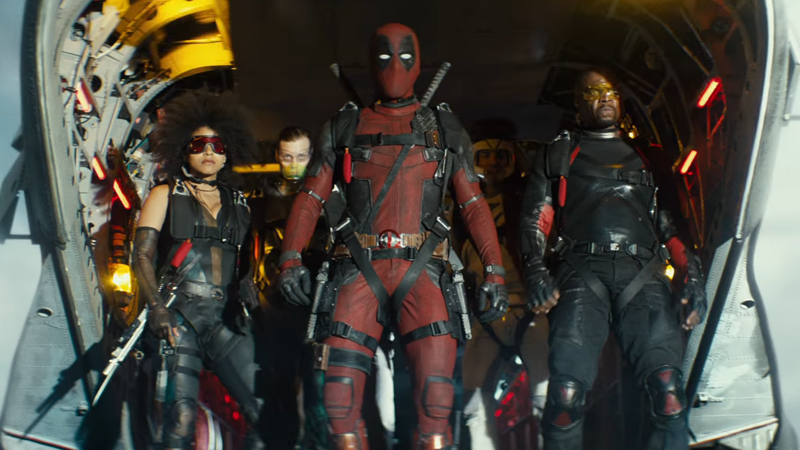 The X-Force themselves of course have a long history and association with many of the characters in Deadpool 2. First introduced in the pages of The New Mutants in 1991, X-Force was established by Cable himself, as an evolution of the New Mutants team. 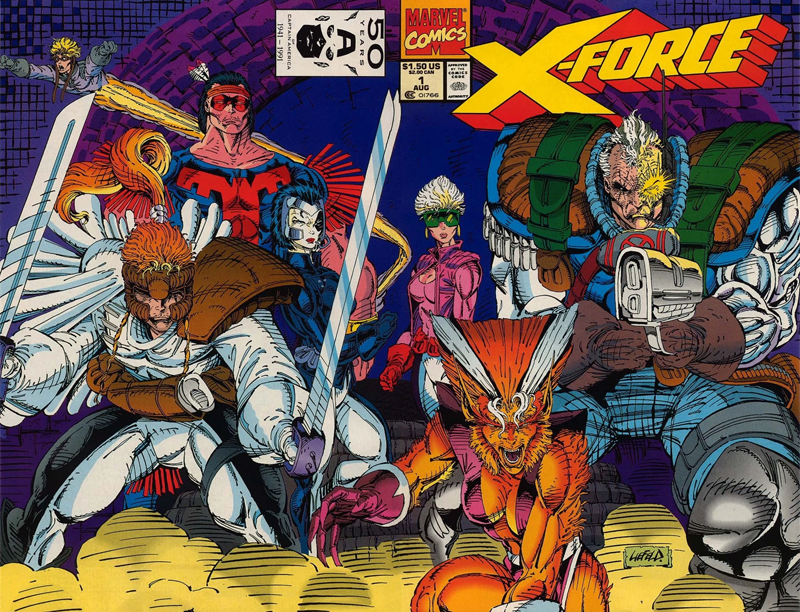 Cable was joined by the mutants Boom Boom, Cannonball, Domino, Feral, Shatterstar, and Warpath to forge a team that was meant to be a meaner version of the X-Men. Performing aggressive missions that the main team couldn't, X-Force battled the foes of mutantkind as enforcers rather than a superhero group. Several versions of the team have existed since Cable's original line-up, and most recently, the group has acted as a sort of off-the-books black ops division of the X-Men, performing violent undercover operations that no one else could. It's a team Deadpool himself has been a part of. Now, without further ado, here's who's who in Deadpool 2's version of the X-team. 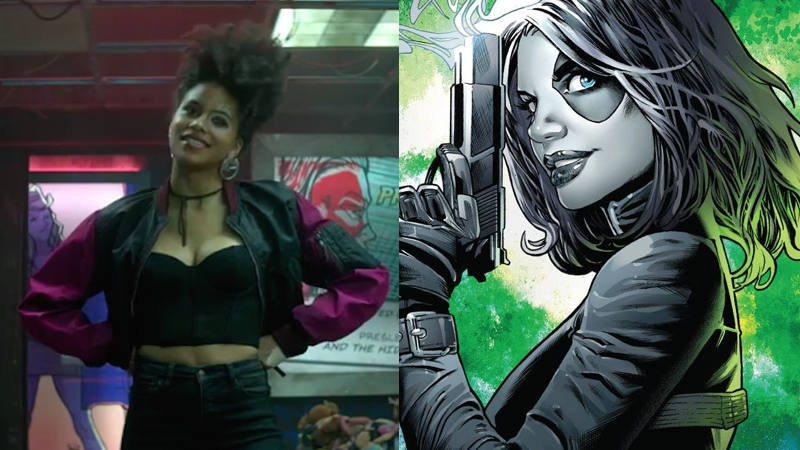 Domino joined the team for real after they learned she was being held prisoner by the shady villain Mister Tolliver (who, long story short, was actually a time-travelling version of Cable's corrupted son from the future, Tyler Dayspring, also known as Genesis) and rescued her. From then on, Domino was a permanent fixture in the X-Force roster, and would even go on to lead the team multiple times in Cable's stead. As in the movie, aside from being a trained weapons expert, Domino's mutant power is that she subconsciously psychically manipulates probability around her, meaning she can give herself supernatural luck, allowing her to make seemingly impossible shots or survive certain doom. Also known as Jesse Aaronson, Bedlam grew up in foster care and was separated from his brother before he was eventually awakened to his mutant genes and recruited into MUSE, a task force spearheaded by Professor X to rescue mutants and teach them to use their powers properly. Later in life Jesse would eventually join the X-Force, after working with Domino to find his estranged brother - who was not only also a mutant but also running a sinister version of the evil mutant group the Hellions, who were looking to extort the US Government. 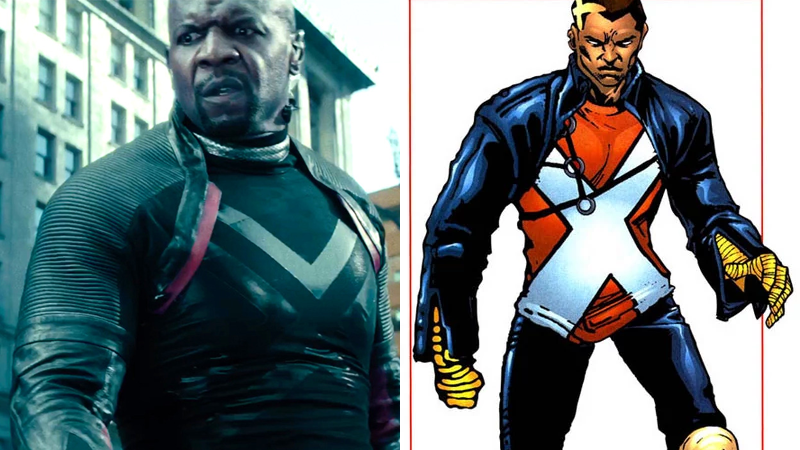 We haven't seen much in the way of the movie incarnation of Bedlam, played by Terry Crews, but in the comics, Bedlam's power is to generate his own bio-electro-magnetic field around his body, which he can use to disrupt electronics systems and alter a person's neural chemistry to cause pain or unconsciousness. An original member of the X-Force, Shatterstar is, like Cable, a mutant from the future. 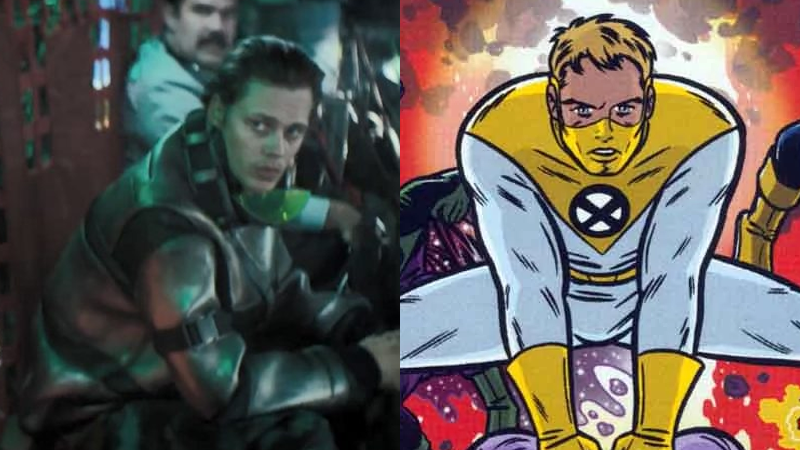 Unlike Cable, he's actually from a different dimension altogether: Shatterstar was born on Mojoworld, a dystopian alternate world ruled by an evil alien named Mojo. Shatterstar was sent back in time to try and avert Mojo's reign of terror by recruiting the X-Men to his cause, but instead he found Cable and the fledgling X-Force. Shatterstar is probably best known for being one of Marvel's few LGBTQ characters (not to be confused with Northstar, another mutant hero with "star" in their codename, who was actually Marvel's first openly gay character), developing a romantic relationship with fellow X-Force member Rictor. 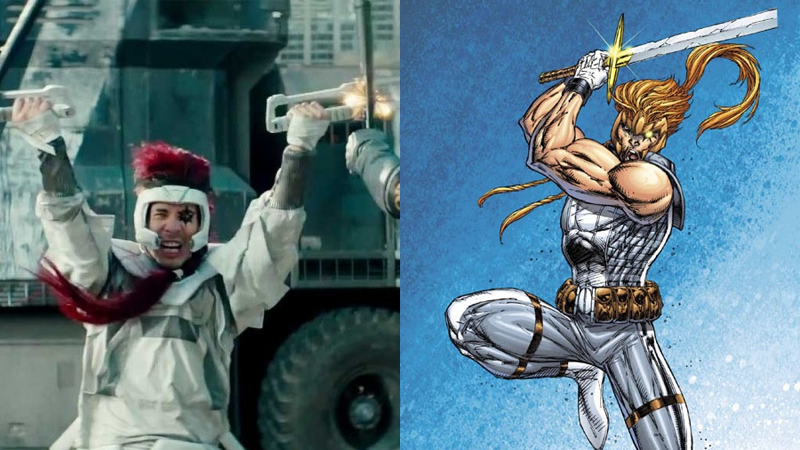 Shatterstar was genetically enhanced on Mojoworld with superhuman strength, speed, and combat abilities to perform as an arena gladiator — on top of those abilities, he can use his mutant power to create both teleport portals and shockwaves, which he channels through his swords. An incredibly short-lived member of the second incarnation of the X-Force (like 90 per cent of the movie's version of the team, actually), Axel Cluney was a mutant who wore a protective face mask due to his powers, which allowed him to spit ooze that could dissolve almost anything. The leader of a media-created version of the X-Force, Zeitgeist - alongside most of his teammates - perished on the team's first mission to rescue members of a boy band from terrorists, when an attack helicopter opened fire on the TV studio the battle was taking place in, tearing the hostages, terrorists, and all but two members of X-Force to shreds. The hostage scenario and massacre was actually staged by Zeitgeist and the team's handler, Coach, in an attempt to grab headlines, and Zeitgeist was meant to be one of the sole survivors. Instead, he was gruesomely severed in half by machine gun fire. Better luck in the movie, I guess? First Appearance: Deadpool 2 (2018)... probably? He has a really good Twitter account! That's... basically it. 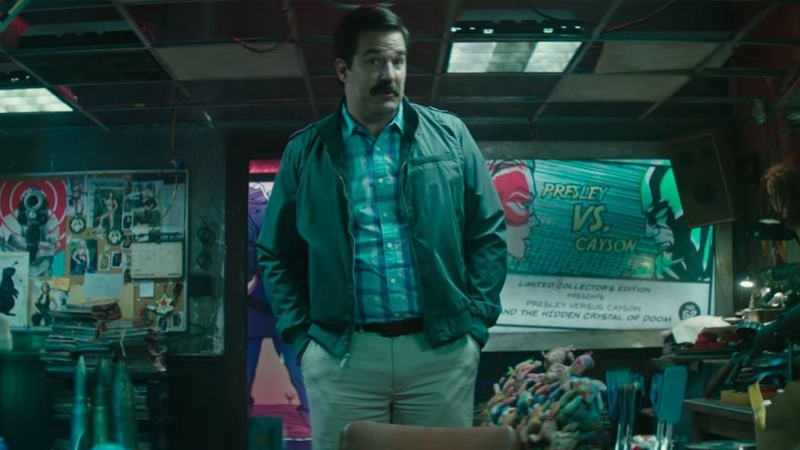 Actually, this jokey, powerless addition to Deadpool's team may not be as new or as powerless as the trailers have let on; fans are convinced his name is a reference to Pete Wisdom, a British spy from the comics who works for MI-13, a division dedicated to handling mutant and other otherworldly crimes. Wisdom is a mutant himself - he can summon plasma blades out of his hands - and has been a longtime ally to the X-Men and infrequent member of the X-Force. OK, yes, Deadpool 2's X-Force is being formed to stop Cable. But Cable is the most iconic X-Force member in the comics, and you can't talk about the team without discussing the mutant hero and all his ridiculously convoluted comic book glory. Introduced in The New Mutants and quickly selected to be their leader after aiding the team in a battle against a group of pro-mutant terrorists known as the Mutant Liberation Front, Cable went about transforming the team into what would become the first incarnation of X-Force. It's eventually revealed that Cable is actually a mutant from the far future, sent back in time to build a team capable of stopping the long time X-Men foe Apocalypse from taking over the world and ... this is where Cable gets really complicated. Like, absurdly so. We've got a much bigger guide to his insane character history here, but long story short: Cable, real name Nathan Summers, is the child of X-Men member Cyclops and a woman named Madelyne Pryor, who was actually a clone of the then-dead Jean Grey (let's not get into that). Nathan gets infected with a deadly techno-organic virus as a child, and is set to the far future of the 39th century both to be saved, and also because it's believed he's the prophesied hero who can end Apocalypse's tyrannical rule over the future dystopian Earth. 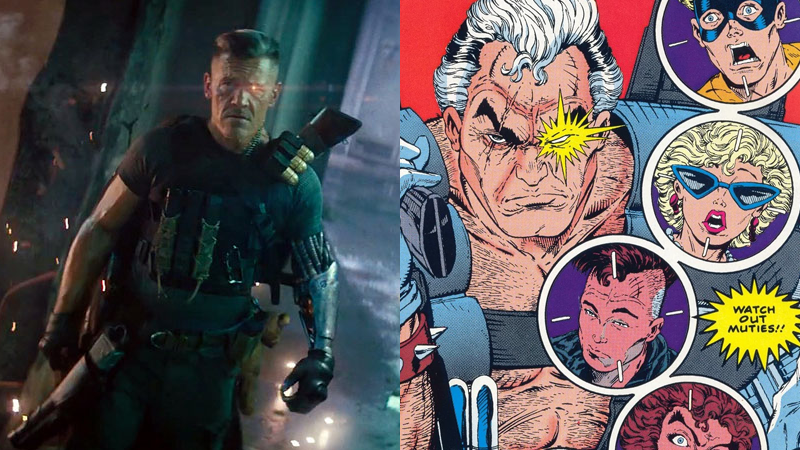 After growing up in the future, Cable comes back in time to the 20th century chasing a villain named Stryfe who - surprise, surprise - is actually a secret clone of Cable. I told you this stuff was convoluted! So convoluted, the movie is skipping a lot of it altogether, which is absolutely for the best. As for powers, Cable's got technological implants as a result of being infected by the techno-organic virus, as well as an arsenal of futuristic weaponry and knowledge of time travel. And as the kinda-sorta-son of Jean Grey, he actually also has various telekinetic and psychic abilities, although they have waxed and waned over the years thanks to the virus coursing through his body. Again, the character may start as the antagonist of Deadpool 2, but he's actually a hero, and heroes who fight each other usually work out their differences before too long. Besides, we already know he's in the upcoming X-Force movie. We'd say the chances of him not eventually joining his iconic team at some point are about nil.